Eduardo Romanos is a Ramón y Cajal Fellow in the Department of Sociology I (Social Change) at the Universidad Complutense de Madrid. He has previously been a postdoctoral fellow at the University of Trento, Italy, and a Juan de la Cierva Fellow at the Universidad Pública de Navarra, Pamplona, Spain. Eduardo received his PhD in Political and Social Sciences from the EUI in December 2007 with a dissertation on the Spanish anarchist movement under Franco’s dictatorship. He also holds a European Doctorate Certificate in Social History after spending six months at the University of Groningen, The Netherlands, as a Marie Curie Fellow (Early Stage Research Training Programme). 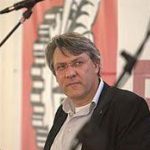 His main research interests are in the areas of political sociology, historical sociology andhistory of political thought, with a particular focus on social movements and protest. 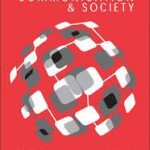 Among his most recent publications are the article ‘Factionalism in Transition: A Comparative Analysis of Ruptures in the Spanish Anarchist Movement’ (Journal of Historical Sociology 24:3, 2011), the chapter ‘Radicalization from Outside: The Diffusion of Violence in the Spanish Anarchist Movement’ (in Dynamics of Political Violence, ed. by Lorenzo Bosi et al., Ashgate, forthcoming), the volume Protest Beyond Borders: Contentious Politics in Europe since 1945 (Berghahn, 2011, ed. with Hara Kouki), and the essay ‘Anarchism’ (in The Blackwell Encyclopedia of Political and Social Movements, ed. by David A. Snow et al., Blackwell, forthcoming). He is currently engaged in research on the Spanish Indignados movement and the recent, transnational wave of contention. Additionally, Eduardo has worked as archival assistant at the International Institute of Social History in Amsterdam and as a translator of academic manuscripts (the most recent, Social Movements: An Introduction, by Donatella della Porta and Mario Diani, Blackwell, 2006, published in the CIS-UCM’ Series Debate Social, 2011).